Great water views! Move in Ready! 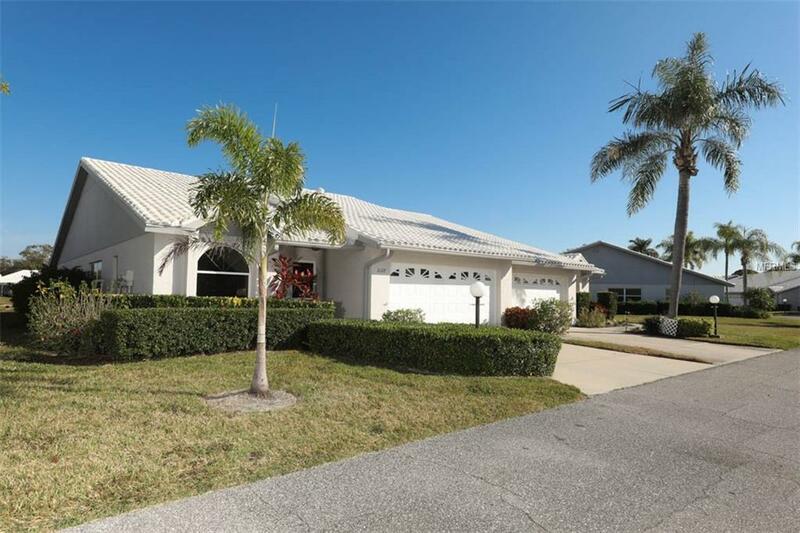 Prime, spacious, updated 3BR/2BA/2 Car Garage maintenance free, lakefront Villa with open concept plan and vaulted ceilings in pet friendly active community of Crestwood Villas. White kitchen cabinets with quartz countertops, brand new stainless steel appliances, large pantry, plus large eat in area opens to the welcoming family room with great water views. Main living areas with skylights enhances the beauty of the home's natural light. Master bedroom offers great water views, two generous walk in closets and adjoining master bath with dual sinks, tub, and walk in shower with glass doors. Third bedroom has large closet and is currently used as den/study/home office. Relax & enjoy the Florida lifestyle with two areas on the lanai; one screened and one under roof with hurricane/storm shutters. New hot water heater 2019. AC installed in 2015. Safety hurricane film on windows and the home is replumbed. No CDD fees! Condo fee includes Roof, basic cable, landscaping, sidewalks and street repair, scheduled exterior painting and good reserves. Complex offers clubhouse with social activities, a geothermal heated pool and tennis/pickle ball court. A super location-near county park, shopping, restaurants, I-75, Doctors Hospital, medical facilities, airport, minutes to Siesta Key #1 Beach, St Armand's Circle and downtown Sarasota. Additional Lease Restrictions Contact Sentry Management And See Condo Documents For Restrictions. Approval Required.